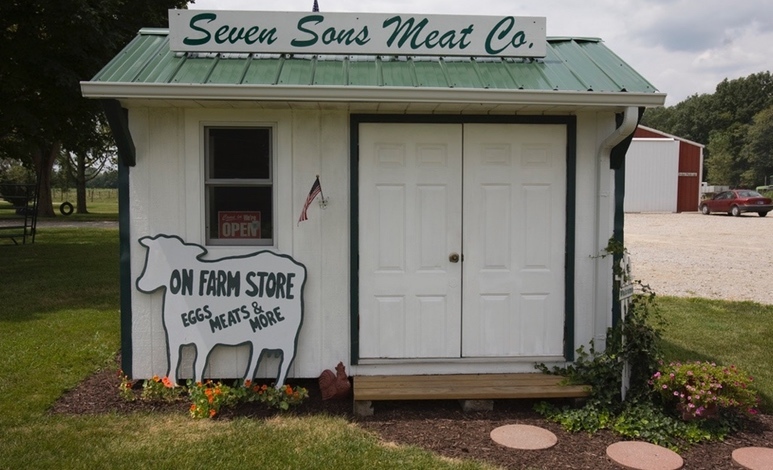 Twelve years ago our farm converted a modest 8ft x 10ft garden shed into a self-serve farm store for the purpose of selling our pasture-raised eggs and meat products. To our amazement, since its launch this self-serve store model has sold nearly one and a half million in total sales. In 2014 we reached an all time high of over $300,000 in self-serve sales in a single year. Keep in mind we are not located on a busy road and we don’t spend money on advertising. How is this possible? In hindsight our strategy has been surprisingly simple. In this article I will layout 7 keys that I believe have been essential to the success of this modest little store. Any successful retail model requires a certain level of accessibility to a populated area. 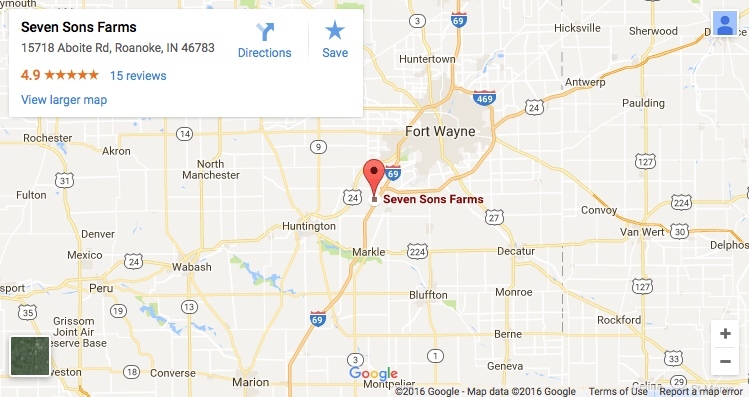 We are located 15-20 minutes from Fort Wayne Indiana, a city that has a population of around 250,000. While this has had a key impact on our success, I believe there’s hundreds of farms across the US that have this same advantage but fail to leverage it. One reason for this is that too many farms falsely assume that a store would require exposure to a heavily traveled road. We have proven that this assumption may not always be correct. Part of our farm has frontage on a heavily traveled road, however for several reasons we purposely chose to locate our store near our farmstead on a far less traveled road. Sheltering our store from the general public helps to ensure that the only customers who visit the store are those who seek us out and appreciate what we do. As a result we have built a clientele of people who we can trust with a retail store model that operates on a self-serve honor system. At Seven Sons we believe a food system of integrity must first begin with human integrity. C.S. 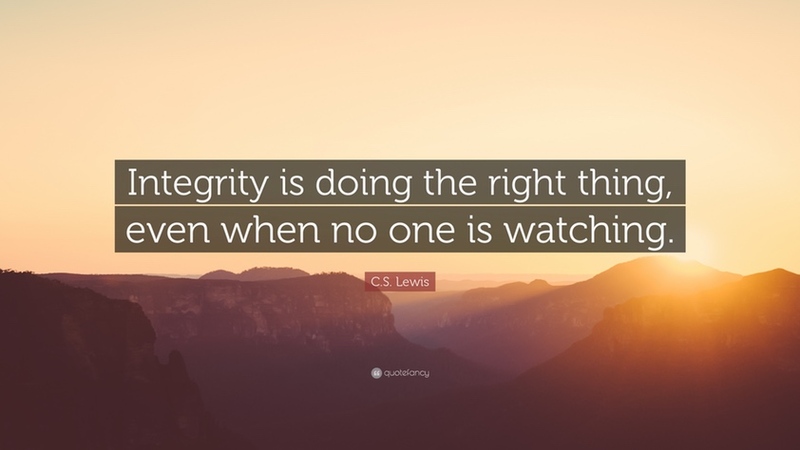 Lewis once said: “Integrity is doing the right thing, even when no one is watching.” As farmers if we expect consumers to trust us with the sacred responsibility of producing their food, why not reciprocate this same level of trust with our customers? Ultimately we chose to put this philosophy into practice by implementing a retail store model based on the honor system where customers are free to shop and leave their payment in a secure drop box. We have found when people realize that we are willing to extend such a high level of trust, this establishes an immediate rapport that creates long-term loyal customers. Today farmers have a unique advantage as more consumers now desire authenticity and wish to develop trusting relationships with farmers. This dynamic is a game changer for direct marketers representing a major unfair advantage to those who are willing to step out in faith by reciprocating the same level of trust that our customers are willing to place in us. We have also purposely located the store in an open area of the farmstead where it is also visible to the farmhouse. At night there is a light pole that provides enough exposure to fend off anyone who may have the wrong idea. All this being said, at the end of the day theft has been a non issue for us as we sometimes end each month with surplus income from customers leaving extra change. The biggest advantage of operating a self-serve store is that your labor and operating costs are essentially scale neutral. The freezers will always be plugged in so either way it doesn’t cost us anymore to have the store open 1 day a week versus 7 days a week. 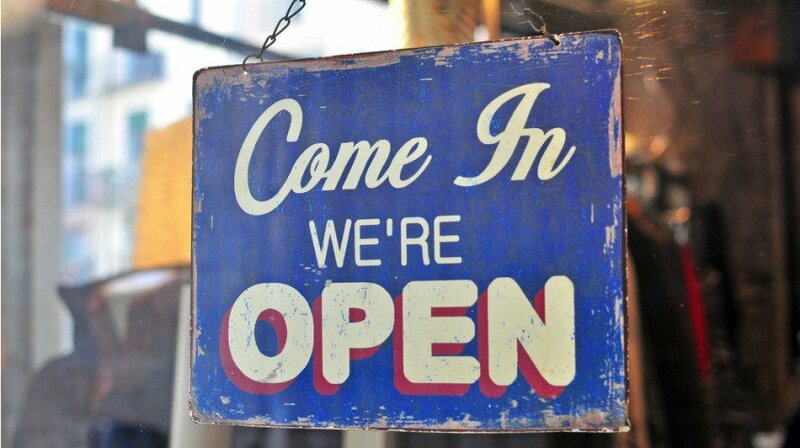 Because of this we have chosen to maintain store hours of 8AM to 8PM 7 days a week, 365 days a year. When we close the store, we don’t lock the door in order to allow our veteran customers the ability to stop in outside of regular hours. This has effectively given us a model of operating hours that competes with major retail grocery stores. Our busiest shopping days are Saturdays and Sundays and the beauty of the self-serve means we don’t have to struggle with finding weekend employees. 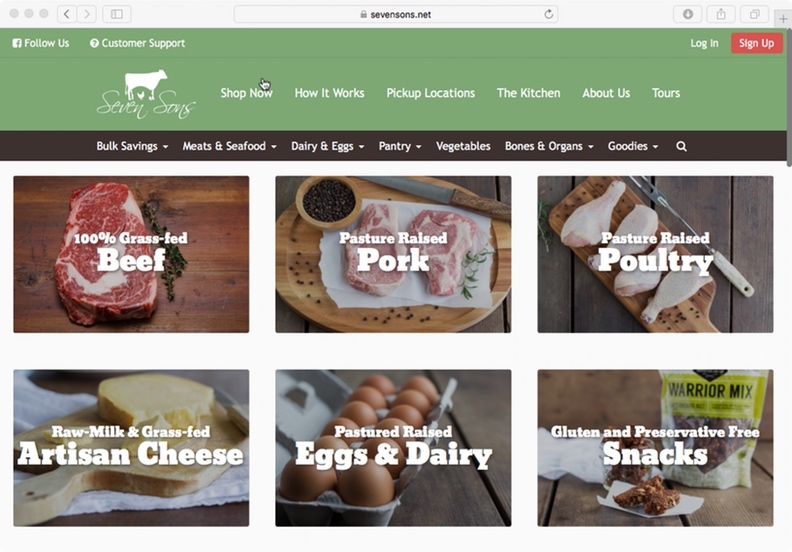 With convenience in mind, we’ve made it our goal to create a one-stop-shop for pasture-raised foods by offering a variety of products including pastured eggs, poultry and pork to grass-fed beef, lamb, bison and dairy products. In terms of volume we raise most of these products ourselves but also network with other farms. In order of popularity eggs, ground beef, chicken breast, bacon, and sausage are the highest sellers. We believe the eggs are the calling card that attracts new customers and keep them coming back. Offering an expanded selection not only creates convenience for customers but it has also been the easiest way to increase sales volume. Bottom line, we have always found that convenience is the biggest barrier that stands between our farm and our customers. If farmers are going to be successful marketers we must realize that we are competing in the economy of convenience. Gone are the days of making our customers purchase freezer beef by the hanging weight and requiring them pickup at the processor. We have to build sales models around the customer’s convenience rather than what is most convenient for the farmer. Zig Ziglar once said: “You don’t have to be great to start, but you have to start to be great.” I’ve interacted with many aspiring direct marketers that fail to launch an on-farm store because they want to start with something so elaborate that they fail to get off the ground with anything at all. The makeshift garden shed that we started with was given to us for free from a family member and with very little upfront investment we were up and running within weeks, not months or years. Within just a few months we were able to recoup all of our upfront investment and were making positive returns the first year. In 2011 we chose to take a small percentage of our profits and upgraded to a portable 12’x24’ log cabin building as the original store couldn’t accommodate enough customers. The expansion also allowed us to add more freezers for expanded selection of our products as well as a host of other products from area food artisans. The upgrade more than tripled our retail space but we were still able to easily recoup 100% of our investment within the same year. We have been very intentional about only using portable buildings built on skids. Not only does this give us the ability to relocate or repurpose our infrastructure if needed, but more importantly we avoid the endless web of zoning and building department permits. Since the store does not require personnel we avoid the need for employee restrooms. We are also sure to only sell products that are already pre-packaged from inspected processors therefore avoiding any perceived need for any inspected food processing area. Ultimately every state and local health department operates under its own unique requirements and regulatory environment. It’s always wise to do as much homework on your own before contacting applicable departments. Ultimately we have found most agencies and regulators to be pleasant to work with. The key is to be respectful yet astute each step of the way. At this point you’re probably wondering how we create visibility and attract interest to our store since we’re not located on a busy road? We’ve overcome this barrier by leveraging local internet marketing strategies. It’s high time we stop thinking of the internet only as a place to sell and ship products off the farm to the big cities. The internet and social media is now an everyday part of your customer’s lives. People looking for pasture-based foods are most likely turning to the internet first. Your job is to position your farm to be found by consumers already looking for what you offer. Every month our website receives 1,200 visitors that are located within a 30 minute driving distance from our farm. Nearly half of these visitors originate from Google searches and link referrals from local directories like EatWild.com, Agrilicious.org and others. Email marketing, social media, and direct hits account for the remaining half of our website’s traffic. As a result of our continued online marketing efforts as well as word of mouth referrals, we currently realize roughly 50-100 customers each week that visit our on-farm store. On average each customer spends $75 - $120 per visit. As farmers and direct marketers our time is limited. If we’re going establish viable direct marketing models we will have to find innovative ways to leverage our time and create residual returns from our efforts. In our 16 years of direct marketing nothing has given us a greater return on our time and financial investment than our self-serve on-farm store. I encourage you to start small and give it a try.